Ah, California: sunshine, ocean breezes, and radioactive wasteland as far as the eye can see. This desolate coastal state was once a shining jewel, but since the Great War, the region known as New California has fallen into chaos — which is great news because where there's chaos, there's loot! The Fallout: New California expansion brings new quests, companions, vaults, and items to Fallout: The Board Game, letting you venture out into the wasteland as five new characters. 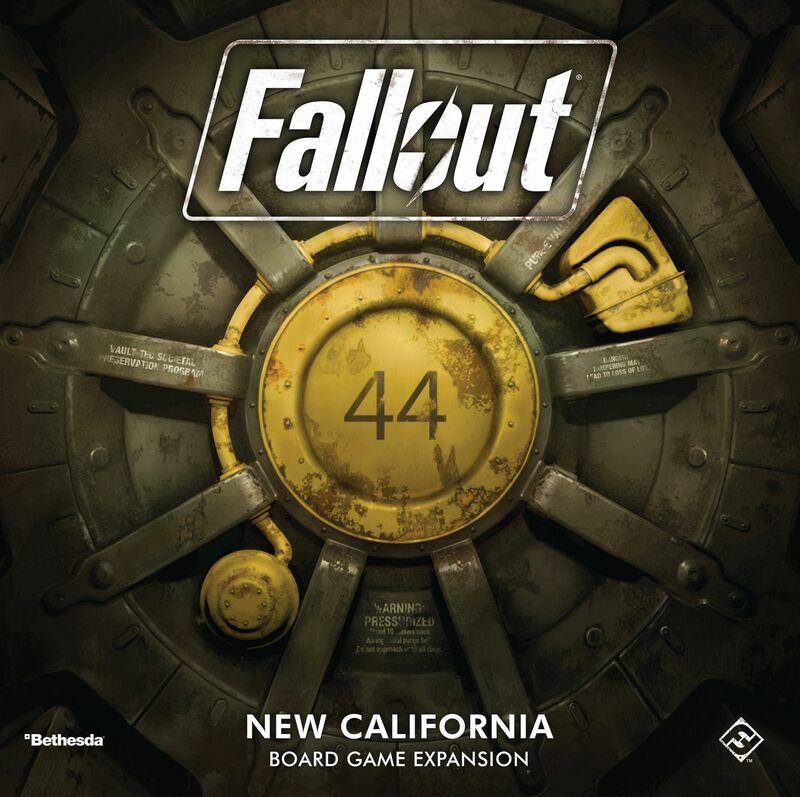 While there, you can wander across twelve new map tiles that expand the scenarios found in the original game or head into sunny New California and visit some of the most memorable locations from throughout the Fallout series. Wenst u het gezelschapsspel "Fallout: New California" aan te kopen?